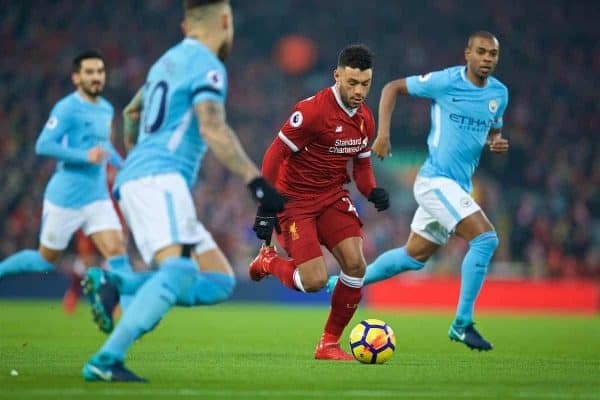 Liverpool face Manchester City in a crucial clash at the top of the Premier League on Thursday night; here are all the best stats ahead of kick-off. 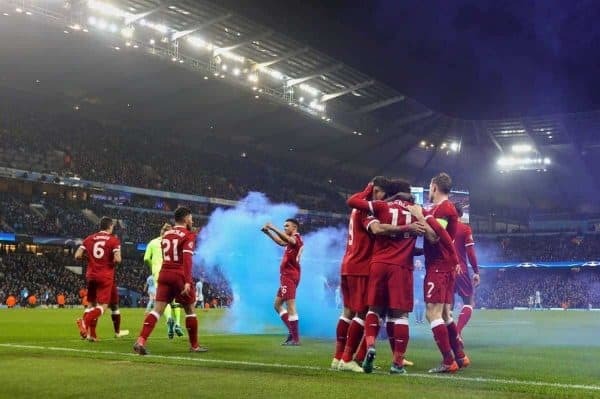 Since the inception of the Premier League, Liverpool have won 19 of the 43 meetings with City winning eight, while at City the Reds have won four with 10 draws and seven defeats. At the Etihad Stadium Liverpool have recorded three wins with six draws and six defeats. The Reds have lost once in eight league encounters home and away (last season’s Eithad clash). Liverpool have lost only seven of the last 37 league meetings home and away between the sides, and nine of the last 52. The Reds have won more league fixtures at City than the home side themselves. They lead 30 victories to 29. Both times have scored 121 times. 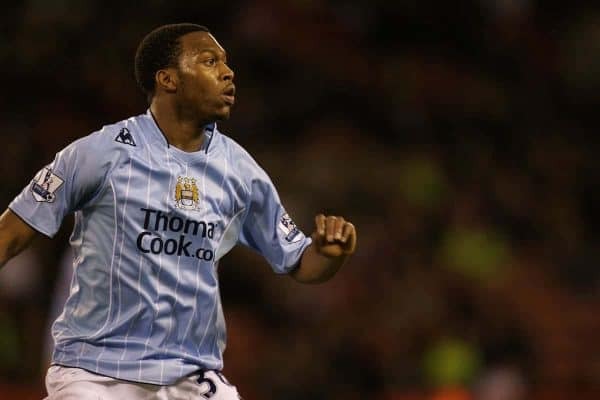 Daniel Sturridge scored six goals in 32 appearances for City from 2006-09. He could make the 150th appearance of his Reds career in league and cup. James Milner played in 147 league games for City netting 13 times. In all competitions he scored 18 goals in 203 appearances for the Citizens. He will celebrate his 33rd birthday the day after this game. His last visit to the Etihad, in the Champions League, saw him make his 650th career appearance. 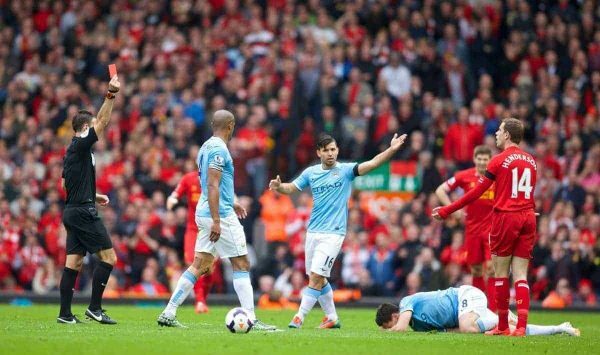 Jordan Henderson was sent off playing against City—at Anfield in Liverpool’s 3-2 win in April 2014. Alberto Moreno made his Liverpool debut in this fixture in August 2014. Sadio Mane scored a hat-trick against City for Southampton in a 4-2 win at St. Mary’s back in May 2016. Virgil van Dijk was also in the Saints team that day. Mo Salah has scored in three of his last four appearances against City. He has found the net seven times in his last six appearances this season for the Reds in league and cup. If selected, Xherdan Shaqiri could play for the 100th time in the Premier League. With 43 goals, Roberto Firmino is now the highest scoring Brazilian of the Premier League era. 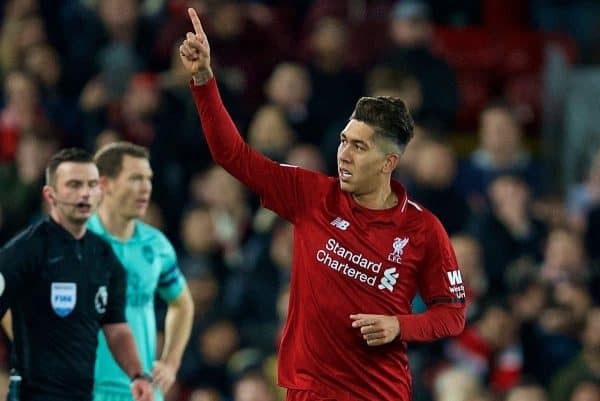 Liverpool have not lost any of the 23 away matches in all competitions in which he has Firmino has scored (20 wins, three draws). Liverpool are unbeaten in their last 10 away league games—their best run since 1992 when they also recorded 10. It is their joint-sixth longest run in their history. Should they avoid defeat at City, 11 will be their best since 1989 when they went 14 top-flight league games unbeaten away from Anfield. 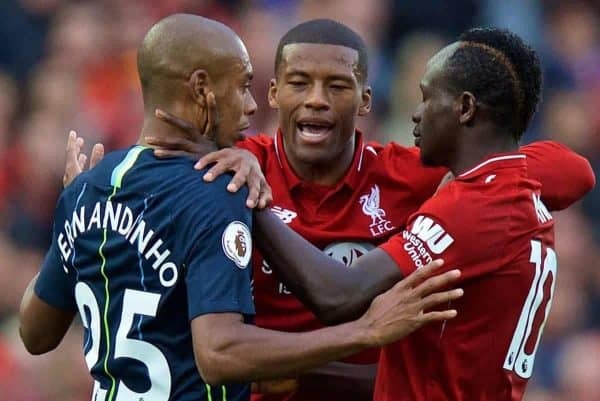 Since their defeat at the Etihad in September 2017 Liverpool have lost four of 54 league games, winning 36 and drawing 14. 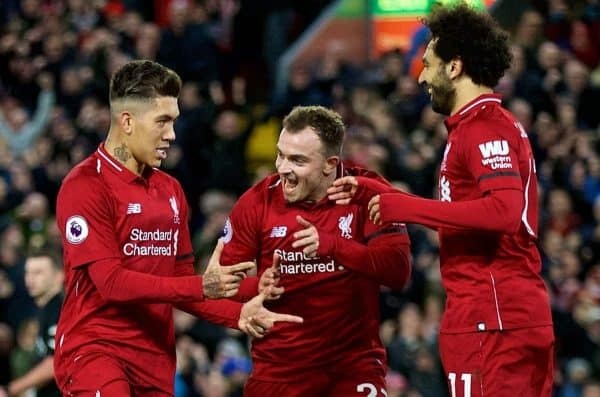 A victory tonight will see the Reds win 10 league games in a row for the first time since they took maximum points in 11 successive top-flight matches during the 2013/14 season. 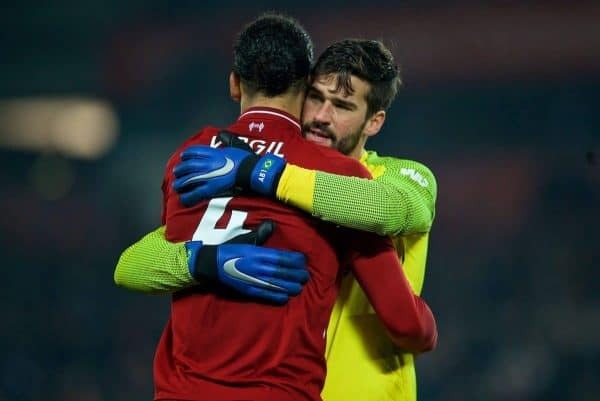 The Reds have conceded the first goal of a league game three times this season and have come back to draw at Chelsea and win at Burnley and at home to Arsenal. Only once have the Reds conceded 5 or more goals in a second successive league visit to City—that came in 1936-37. On January 3rd last year City were 18 points ahead of Liverpool, who were fourth with 44 points from 22 games. City were top of the table with Manchester United 15 points adrift in second. City are 11 points worse off than they were after 20 games of last season while Liverpool are 16 points better off. The Citizens have failed to score in only eight of their last 155 league games at home; the last time they were shut out was by Huddersfield last May. City’s first league defeat of last season came at Anfield back in January (3-4). They could end Liverpool’s unbeaten 20-match start to this campaign. Sergio Aguero has scored in all six of his Premier League appearances against Liverpool at the Etihad. Leroy Sane scored three goals in two league appearances against Liverpool last season. City are the only team to prevent Liverpool from scoring in the league this season. 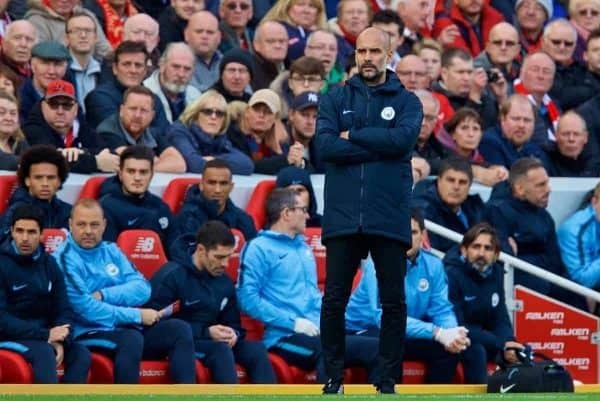 Pep Guardiola has overseen one victory in his last eight managerial jousts with Jurgen Klopp in all competitions (three draws and four defeats), with seven of those clashes being against Liverpool. 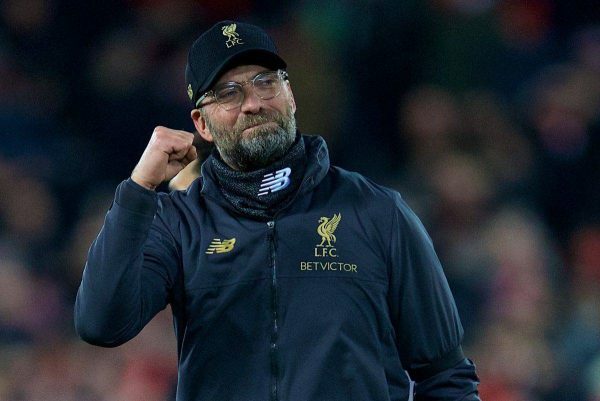 Klopp has beaten him more times than any other manager—seven. Guardiola’s men have lost only three of their last 51 home league games (conceding three goals in each of those defeats). They have won 38 and drawn 10 of the others. They last lost successive home league games in February 2016 when they were beaten by both Leicester City and Tottenham. City have not kept a clean sheet in the last 10 league and cup matches while each of the last five visitors to the Etihad in the league have found the net at least once. They have lost three of their last five league games and in two of those (at home to Crystal Palace and at Leicester) they scored the first goal. City are aiming to be the first club in 10 years to retain the Premier League. The last were Manchester United in 2008-09, a season in which Liverpool came second. Last season in winning the title they amassed 100 points, a record. 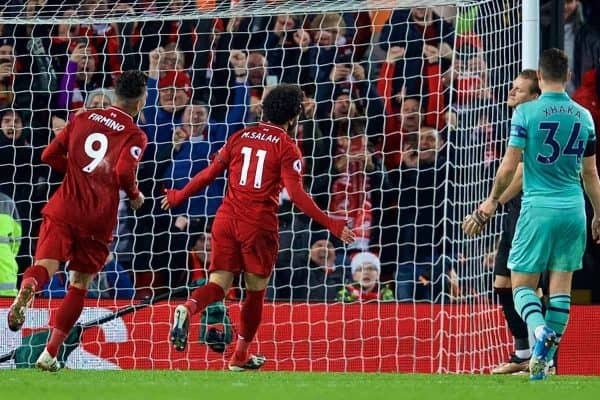 Liverpool: Salah 16, Firmino 9, Mane 9, Milner 5, Shaqiri 6, Sturridge 4, Alexander-Arnold 1, Fabinho 1, Lovren 1, Matip 1, Origi 1, van Dijk 1, Wijnaldum 1, own goals 2. 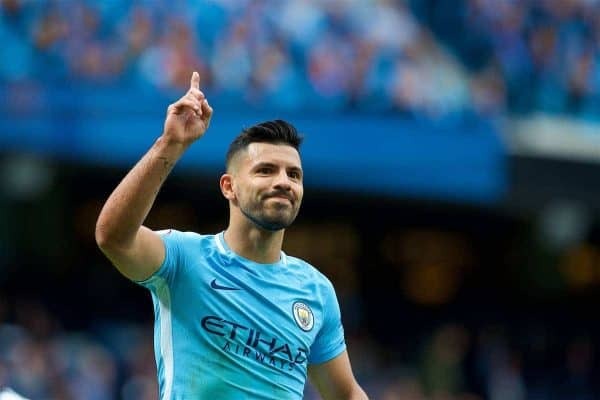 City: Aguero 13, Sterling 10, David Silva 9, Sane 8, Bernardo Silva 7, Gabriel Jesus 7, Mahrez 7, Gundogan 4, Laporte 3, Diaz 2, De Bruyne 2, Fernandinho 1, Foden 1, Walker 1, own goals 3.